A brief of history about PIRAMICASA and how we have achieved realizations like these. Our Beloved PIRAMICASA was founded by Vicky Sanchez and Gabriel Silva in 2001 which consists of a group of an Intelectual Rights registered in several countries. The filosophy that has led us to create it is quite simple: We work for a New Humanity, but nessesarily following the market rules. It wouldn't be possible otherwise in a capitalist world. Our products are partly artesanal, we can also offer them in industrial versions, normally in higher costs. 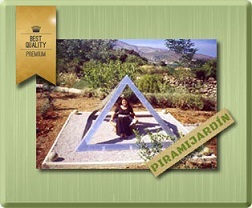 In Europe we have enough capability for offering Piramicama and Piramicasa in large amounts, due to the hired companies for each part of the realizations. This has become into a huge challenge as it has developed by a Technical and Scientific Multidisciplinary Team. Recently experts in marketing have joined our team. The Osiris team, which supports our achievements, it has more than fourty professionals who live in Spain, Cuba, Nicaragua, Venezuela, Costa Rica, México, Argentina, Brasil and France, and with plenty of collaborators in some other countries, sponsored by five direct associates collaborators and also by representatives in several countries. Piramicasa is not a commercial "company"not registered (and will not be) in any country, because it is much more than a "company", unless the scientific community and the governments homonlogise our technology. Our company does not quote (and will never do) in the stock exchange. It is not to earn money but to produce, technological revolution which is already progressing with other technicians and scientists so that the ones that earn money are the companies with their products because it is necessarily the only way to function and grow and giving Humanity their products. They legally function invoicing with other names, but the name "Piramicasa) is priceless, It is not, and will never be subjected to the up and downs of the market, neither to the fatuous and changing laws neither the corrupted governments. We have the intelectual rights registered in five countries: Argentina, Brasil and Spain. The materials are produced in Germany, France and Spain for Europe, and other countries for America. Our products, as in all novelties, has obstacles that have been overcome step by step, thanks to decennial of colaborators and thousands of users who have trusted us. This is the summary of the achievements in the field of investigation and diffusion of the pyramids and the therapeutic since 1927 when the French investigator Antoine Boris rediscovered piramidal effect. Since 1984 to 1991 and then since 2000, when we founded the Club Osiris, plus a little bit of my own experience. For someone would think it is too small, for others a huge step. For the actual users a fundamental change in their lives. Regarding me, I am satisfied of being contributing to make a Better World, but, in spite of the developments and having achieved to uncover the "mysteries", we have a quite difficult struggle: to fill the world with pyramids, like the ones that have used them, the ones who now occupy a very superior evolutionary step, inside the Universe Natural Kingdoms. Antoine Bovis discovered the piramidal effect in the Great Pyramid and reproduced in a small scale. His experiments are known by several scientists and technologists, but nobody dedicated so much time and neurons like the Czechoslovak Engineer Karel Drbal. Karel Drbal asked for the FIRST PYRAMIDAL PATENT, capable to regenerate the sharpness of the shaving blades, for these to last decens of times more than normal. As a phenomenon is unquestionable, but there was not at that time the any means to explain it. With the moving of the patent manager in 1958, Drbal kept on trying to convince the new manager to repeat the proves of the former. He agreed, but grouped an assessor council with quantities of notable men and with the help of a militar who grouped in the experiment hundreds of soldiers. Three months later, nobody had changed the shaving blade when they should have done it about 18 times at least. He gave the pyramidal patent number 91.304/59. Julio Gutiérrez from Mendoza Argentina, knowing that Drbal had sold more than a million of small pyramids in Russia, and Eastern Europe, achieved a series of experiments and made sure of the divulgence of the subject. The birth of the disposable blades made impossible the commercialization of the invention, but not for inefficiency of the pyramid, but for the lack of interest in the market. Gabriel Silva. I started my experiments in Mendoza Argentina when I was 14 years old with cardboard pyramids after Julio Gutierrez's works. After three years of very few results, I personally knew him and adjusted the experiments. Since then, almost all the pyramids -from various materials- work and the achievements are being more concrete and foreseeable. After being completed healed from deforming arthritis with a pyramid (I had been treated for ten years with experiments) for those synchronism of the Magical Life, we founded el Primer Equipo Osiris (the First Osiris Equipment, with Doctors in physics Balmaceda, Valdez and the mathematician Sanchez Gomez, plus a peripherical team of physicians and biologists, achieving, in six years, to discover the physical causes of the pyramidal effect: formation of accelerated field, exclusion of free radicals, molecular restructuring etc. quantic completing for abundance of neutrinos (the "bions" or biological Orgon by Wilhelm Reich), as well as the magnetic sympathy of the shape, the actual molecular-polimeral structure of water, etc. In 1987 1988 the architects designed under my standards and indications, two pyramidal houses at a high cost in Brasil. They are not good enough as a reference because of the social-economic status of the customers, but we got a lot of experience which is very useful now. Since 1987, owed to some published articles in South America and in USA, I received many letters requesting information about pyramidals, which allowed architects from several countries tu build the best and most functional pyramids today. Haven't abandoned but slowing down the rhythm of the investigation for nine years dedicated to other disciplines and to the art, in 2000 we contacted Dr. Ulises Sosa Salinas who had been practicing for several years in therapy with pyramids about locomotive apparatus.  Internet allows us to interact, interchange information and launch a world wide divulgation plan of the discoveries. Several physicians and doctors really sceptic in Cuba start to experience under our instructions and suggestions, most of them were strictly adjusted to protocols and official methods. Farmers beekeepers and agronomists were also interested, all of them are very satisfied with achieved effects (elimination of ascoforesis in honey recovering of farm animals and cattle, improvement in crop yields, etc). Tired of looking for investors willing to take advantage of our knowledge and discoveries, I understand after knowing the biography of most of the men that have rebounded science and technology, that I had to do the same as they did: being in charge of impose in pyramidal world. I created a virtual community and started to sell experimental pyramids. 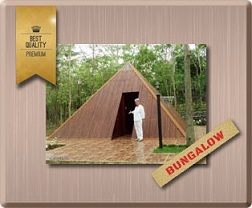 I improved the pyramidal house design and we elaborated other minor products, as we got material like high purity aluminum in Germany discarding wooden pyramids and their inconvenience, in spite of its short durability. Since 1999 I was sleeping already in the first Piramicama, because it was necessary that my Dear wife, Viky Sanchez, verifying on her self the effects of the pyramid, at the same time both of us taking advantage of it. The users are scanty but as the experimenters increase, increase the convinced ones. 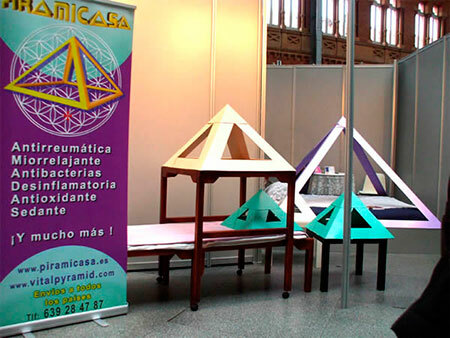 We joined forces with Marcus and José Luis Garcia, we developed industrial materials for the pyramybed models and others, which was improved and we started to spread. So we started making industrially pyramybeds extruded from aluminum in precised angles, with the purest materials in industrial laboratories. Thanks to Our carpenters the wooden support was improved and we elaborated the Piramicama as a decent product for the most demanding aesthetic criteria. As I felt the possibility of leveling up, and noticed in my comfortable, happy and profitable artistic activities, but doctors and physicians in Cuba joined the pyramidal labor, so sales went up very fast. I had to choose between following with this to level up or continue with the pyramids... I was quite disappointed at some unethical people who sold the information I give away. They gave panacea promises and false spirituality. I am convinced myself that if I don't follow the market rules and dedicate more time to this, there would not be pyramids for anybody. The Director of the Physics Department of the Pinar del Río, Doctor Elio Crespo Madera, sent me an encouraging message just when I was in a disjunctive between my personal convenience and ethical responsibility. After his message, a long list of messages from many countries as if they had agreed and knew about my uncertainty. Finally, with my wife's unconditional support, I decided to face the challenge of dedicating all my time and means to the manufacturing and sales of the pyramids. There are not secure incomes anymore. No applause for my work, no money, but false mocking skeptics, theoretical mental onanistic foaming at the mouth, insults and garbage in internet and by phone at any time. The risk is big, the compromises many, hard work and abundant ingratitude...But a man has to be consequent to his ideals, and even more with his knowledges and convictions. It is not worth "halftime". Engineer Silvia Iraola Herrero, Julia Calzadilla, Doctor Elio Crespo Madera, Markus Jaume Sala, Sergio Gaido, Marcelo Bengoechea, Pablo Gioretti, Francois George, José Luis Garcia, and about thirty more from Club Osiris, giving support in different ways, but the people of the digital sceptic appear in the first positions of the internet searches including the clue words of our own Web which does not appear, producing economic and moral damages. Threatening phone calls, mocking and offensive together with e-mails with all kinds of insults, every day between 2001 and 2005. A balm arrives. In the middle of 2005, the constant and heroic work of Doctor Ulises Sosa Salinas for years (which includes the free edition of the book Energía Piramidal Myth or reality? Which motivated many sceptics to investigate) He got a dozen of guarantees(endorsement) from hospitals and clinics civil and military, and veterinary and agricultural, as well as other technical and scientific about the reality of the pyramidal effect, having practicing therapy with more than twenty thousand patients hundreds of animals including apiculture, eradicating with minimal costs the fearsome ascosferosis that decimated the hives. Threatening and insults are quite sporadic. The Cuban government launched a methodical and strict investigation at national level, that the therapeutic effects of the pyramids highly demonstrated in tens of thousands of patients with different sicknesses. Following this line, and with an increasing number of applications when, the use of the pyramids in the sanitary system of almost all the country grew, in October of the same year, the National Scientific Council of Natural and traditional Medicine in La Habana gives the opinion about PIRAMIDAL ENERGY, but to avoid terminology discussions with some physicists, they give the opinion, prudently as PYRAMIDAL EFECT. They gave effect to the opinion in December, 2005 stating in the Cuban official Web. Also, in 2005, the magazine "Año Cero" an excellent documentary about pyramids which reached more than 50,000 people from Spain and America. Thanks to the first benefited people by the pyramidal effect (Spain and South of France) I was invited to several radio and television in different spots in Spain. "Tecnología Sagrada de las Pirámides" is edited, thanks to the invitation of the Director of the SEIP, Pedro Ambros to participate in the EKOS. Soon after Doctor Salinas and we, started "Revolución Terapéutica de las Piramides", a continuation of the former book, plus the summary of the achievements in Cuba, with abundant information about utilities and therapeutic procedures. We are not bothered by the false scepters anymore. The obtained results for more than a hundred people in Spain, made it possible that more people were interested for ours Pyramidal Houses, which motivated us to start the Proyecto Geoda, born fifteen years back. We did very well and started to spread our products for several countries in Europe, Asia and Africa. We hope to count with more supports from doctors and therapists from all over the world to use the pyramids, also more users who, besides to benefit themselves, contributed with our work. We continued manufacturing and selling pyramids, about 138 by the end of 2008, in April of that year we went to Cuba to take some pyramids to our comrades from the Club Osiris. In 20 days we gave 13 conferences in medical institutions, engineering and architecture at La Habana, Pinar del Río, Camagüey and Cienfuegos, besides a series of meetings with sanitary authorities, civil and military of that beautiful country. 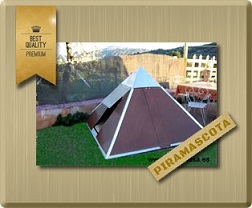 Undoubtedly, Cuba is a country where human values are first over any other things and, that is why pyramidotherapy is an excellent tool with its magnificent system of sanitary assistance. We knew that in Bosnia, pyramids had been discovered, but we couldn't say anything else because we did not take that for certain, that did not find it impossible. There was very little information to favor and a lot of against. We started the year with courses, workshops and lectures proposals from European as well as in American countries, and by the end of that year, there were a total of 14 workshops and eight conferences. 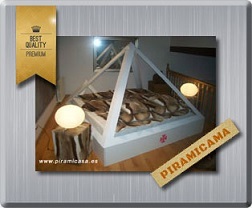 The manufacturing of the pyramids of different sizes, specially Pyramibeds continued in spite of the "crisis". In Bosnia, one of the biggest ( at least one), rests as a confirmed reality. Meanwhile we had made new and magnificent experiments, improving our designs. By the end of the year we installed almost five hundred and eighty five Pyramibeds in Spain, Portugal and France. The progress curve was more notable for the foreigner and we started to export more intensely, specially to America, about 70% of the requested from outside Europe. Contacted with Osmagenic, the discoverer of the pyramids in Bosnia. We were really happy, because this man showed being a real archaeologist. He never ceded to the international pressures, none silenced him. I believe that this discovery is as important in archaeology as ours is in physics and medicine. If Semir Osmanagic remains firm, it is very possible for him to revolutionize the historical conscience totally in regard to the pyramids and many other related matters. We couldn't take vacations, with a huge amount of work, we made some more experiments, discovering new applications. 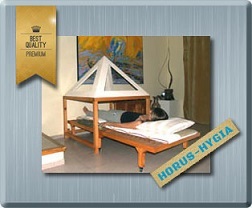 In February, I received a message about a new device to produce electric energy for free, using pyramids. The invitation to Bosnia remains pending, so that customers and new experiments have priority, but things are on fire. Zahi Hawass and his team tried to destroy the investigation project in Bosnia. For our part, Osmanagic counts with all the support of Club Osiris even we had not any contact. In Egypt, it seemed that Hawass had no choice, but we did not have clear news. The political changes in Egypt did not contribute to topple the academic tyranny, only the main head. In spite of the crisis, we kept on working in the experiment more and more abroad. By the end of the year we had a slight upturn in our sales. As in almost all the years, a new trip to Egypt was marvelous, with a big amount of photos and discoveries. We started to rewrite the history, besides with very concrete demonstrations. We kept on working very hard and the little time we had left we take advantage of it in Egypt. 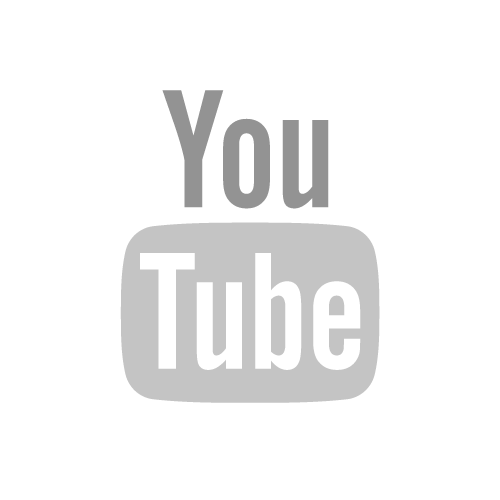 We saw the possibility of unifying our workshops in Portugal or Brasil, so that, in Spain, we were overwhelmed by the taxes and the results were quite few. In one way or another, we kept on working. After four years of intense investigation expenses, we were financed with the sales of books and the increase of the users in several countries, we get determined different applications of the pyramids, which we, very prudently had put aside. We keep growing and al the profits of our work is to continue our investigations. We are all the time more conscious of the importance of our task and that we open a "portal"of utilities with the pyramids, similar to the discovery of the wheel or the fire. Since 2014 the interaction with a very selected group of therapists increases and enriches our knowledge in regard to applications, specially in medicine but also in other topics, like agriculture, apiculture, veterinary etc.